From her base in Sheffield, Leeza Murina, offers a new authentic food experience to those eager to try something different. 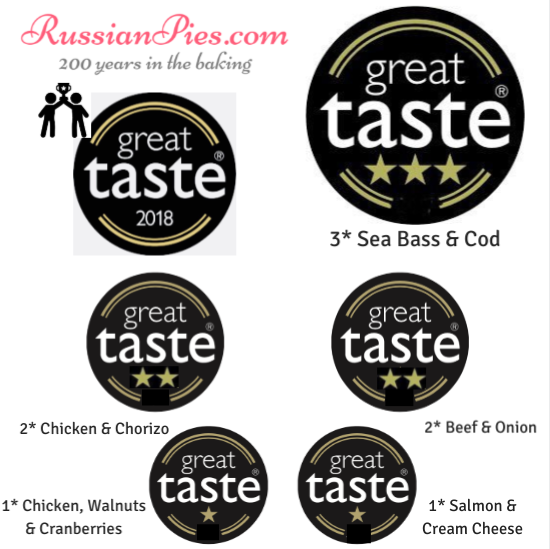 Drawing from her heritage of six generations of Russian baking knowledge, Leeza has created a multi-award winning Russian pie (already 19 medals from the British Pie Awards !). Her 'piroshki' is a lightly-sweet, soft baked yeast dough wrapped around an exquisitely seasoned savoury or sweet pie filling. Hand-decorated and beautifully baked. Equally enjoyable cold or hot. She will bring a selection of her savoury baked products, Russian salads and desserts for everyone to enjoy a true Russian buffet-style feast.